Babies and Bathwater - I Must Be Doing Something Right. Note: this will be the last post for the next couple of weeks, but I will be back, so don't go away. Where is Goldilocks when we need her? I am always amazed at how people, even professionals who should know better, can take extreme positions and then argue vehemently for them (usually with a healthy dose of debate tricks and logical fallacies). Middle ground does not seem to exist for them. I must be doing something right, because I am now catching flack from both sides. When I began writing this blog, I expected to be attacked by those folks who think that child abuse and dysfunctional family interactions are a figment of the imagination of a bunch of whining liars, and that the problem with modern psychiatry is that we are just not prescribing near enough drugs. I was waiting with baited breath to hear the phrase, "Parent Bashing." It actually took a while for me to hear from these folks, but it finally happened. Susan Resko, Executive Director of the Child & Adolescent Bipolar Foundation, naturally took exception to my post of May 3, 2010, Preying on Human Misery, which was highly critical of the way her organization's web site was being used and abused by the pharmaceutical companies. She accused me of posting misinformation, which I had in fact taken from other websites that I find to be reliable. In response to an e-mail, I asked her to let me know which things I had wrong, and told her that she could post an unedited rebuttal on my blog, to which I would of course respond. In a blistering e-mail back, she declined my offer. I am also getting a few negative e-mails from folks at the other extreme: those people who believe that all mental illness is a myth and a hoax, and that any doctor who prescribes psychiatric medications for any reason is destroying the lives of their patients. And these people are not even Scientologists (whom I think have not yet come across my blog). This point of view is equally absurd in my opinion. I have even been accused of trying to hawk my upcoming book. Ya think? Why shouldn't I? It's very informative and I think people will find it entertaining. 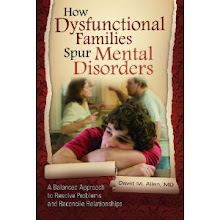 However, just for the record, I am in fact not promoting my book, which is called HOW DYSFUNCTIONAL FAMILIES SPUR MENTAL DISORDERS: A BALANCED APPROACH TO RESOLVE PROBLEMS AND RECONCILE RELATIONSHIPS, which should be available this summer from either Praeger Publishers or one of their imprints. Again, to be very clear, the book that I am NOT promoting is called HOW DYSFUNCTIONAL FAMILIES SPUR MENTAL DISORDERS. Available soon! The Ramones sang those lines quite a while back. Without knowing it, they were singing about how anti-psychotic and anti-convulsive medications really work on folks who carry the pseudo-diagnoses of bipolar II or childhood bipolar disorder but who really have personality disorders, anxiety disorders, and/or a family relationships environment that is more like a war zone than the refuge that a home and family should provide. So why do patients and the parents of patients keep coming back for refills, and why do the doctors keep prescribing them? Well, they kind of "work." What happens is they calm the person down somewhat, because almost all of them are sedating and function like a tranquilizer. This is a side effect of the medication, not the main effect, however. After a while, the tranquilizing effects of these drugs tend to diminish, and the drugs seem to "stop working." The doctor then will switch them to another drug or add a drug from a different class. This is why many patients come to me after having been on a wide variety of different drugs at different times, or on crazy combinations of drugs. Uppers in the morning, downers in the evening, sugar at suppertime. I see this happen a lot in my patients with borderline personality disorder (bpd), who have severe and incapacitating agitation very frequently. Just about any half-way sedating thing that you put them on "works" for a month or two to diminish their agitation somewhat, although if they get upset enough, it breaks through. After that, most medications (except, ironically, benzodiazepines- actual tranquilizers like Klonopin) no longer have much of this effect. Not surprisingly, most drug company-sponsored drug trials in patients who have borderline personality disorder do not follow the subjects very long, and the companies purposely try to leave the impression that any beneficial effects are not just side effects, and that they will go on as long as the patient stays on the medication. A few years ago the old anti-psychotic drug Haldol was touted for use in bpd. The chairman of the psychiatry department at UAB at the time was one of the people doing the touting. Finally a longer-term study was published in the American Journal of Psychiatry which showed that indeed the drug seemed to stop "working" after a couple of months. Of course, the guy at UAB did not mention this study when I saw him speak. The pharmaceutical companies know they are mixing up the side effects of their drugs with the therapeutic effects, and will almost never compare their drugs in a study to an actual tranquilizer like a benzodiazepine (the Valium- or Klonopin-like drugs). In the past, sedating drugs were at least advertised as what they are - sedatives. Below is an advertisement first published in February, 1959 in the Post Graduate Medical Journal. It is an ad for the sedative Equanil, or Meprobamate, which was also called Miltown. It is a serious downer with much of the same properties as major barbiturates like Secanol or Nembutol ("Reds" and "Yellows" on the street way back when), drugs highly addictive and potentially fatal in overdose. Drugs like these have been replaced by the much safer benzodiazepines. What strikes me about this ad is that the drug is being advertised as a treatment for temper tantrums, which according to the quacks and snake-oil salesmen selling the concept of pediatric bipolar disorder, are often a symptom of mania. If Equanil worked, it must therefore be a mood stabilizer? Well, maybe if you are not bipolar. Some people who read my blog may get the wrong idea about where I stand on the issue of the use of psychiatric medications, so I want to make something perfectly clear: I am an advocate of the proper use of psychiatric medications, and I think that when used correctly, they are highly effective. I prescribe them to almost all of the patients I treat, including my psychotherapy patients. If fact, my patients who exhibit signs and symptoms of borderline personality disorder would not be able to engage in the type of therapy I do if their high emotional reactivity were not partially controlled on meds. I even prescribe atypical antipsychotics, even though they can have toxic side effects. I monitor my psychotic patients' for the emergence of metabolic syndrome by checking their blood sugar, cholesterol, and triglycerides (fat). I watch them closely for the emergence of tardive dyskinesia, a neurological side effect that may emerge after long-term treatment with antipsychotic medications. (If you saw the movie "The Dark Knight," Heath Ledger's Joker character's mouth movements look a lot like this syndrome). Without antipsychotics, many more patients would be living out on the street in cardboard boxes. Additionally, sometimes the atypicals are the only medications that stop certain patients with borderline personality disorder from severely mutilating themselves. They are not my first choice for that, but they are sometimes necessary. On the basis of my obvious disgust with pharmaceutical companies' disease mongering and the sloppy use of diagnostic terms by many psychiatrists, I hope no one lumps me together in the same camp as Peter Breggin or Robert Whitaker, who grossly exaggerate the dangers of psychiatric medication and distort the studies in a fashion precisely opposite to the way the drug companies do. Nor I am a fan of Tom Ssazz or R.D. Liang, who think that there is no such thing as a psychiatric disease. 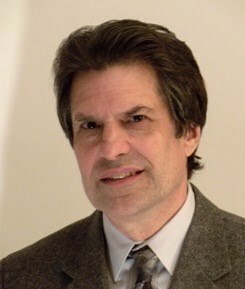 BTW, Dan Carlat posted on his blog an excellent description of PhARMA disease mongering by Adriane Fugh-Berman, available at http://bostonreview.net/BR35.3/fugh-berman.php. One of the drug company strategies that is not described in this article is to label their critics as members of Scientology. Just so you know for certain, I think the idea that mental illness is caused by a volcano god (Xenu) and space aliens (body thetans) is just a wee bit ludicrous, and that Scientology is a dangerous cult. I remember when I was a resident receiving a mailing from them asking me to come and confess my sins. Clever. I find that doctors who buy into disease mongering are usually well-meaning but incompetent. Some, however, are predators. On an earlier post, I mentioned something called sensory integration dysfunction. I said it was a "mysterious illness" which might have caused confusion to some readers. This "dysfunction" is not recognized as a disorder by the DSM or the International Classification of Diseases, and its descriptions in the literature are highly dubious. There are no adults who are diagnosed with it. Even if it does exist as a syndrome, it is could easily be something that is due to other factors like anxiety. Yet there are doctors who prescribe expensive "treatments" for it to the children of unsuspecting and naive parents. This is shameful. Give a man a fish, and he’ll eat for one day; teach him to fish, and he’ll eat for a lifetime – old proverb. Of course, then he’ll spend every weekend out on a boat in the lake with his buddies drinking beer – old joke. When I was a medical student in San Francisco in the mid-seventies, a group of nuns who were part of Mother Teresa’s order, the Missionaries of Charity, set up shop. I think there were about twenty of them. Anyway, they took over a large house. Because of the group’s philosophy, the sisters pushed thick mattresses out the windows and removed all the sofas, chairs and curtains. The house was made to conform to à way of life intended to help the sisters experience the poverty they were trying to alleviate. The heat in the house remained off all winter long in their very damp and musty house. Several sisters came down with upper respiratory diseases. Ironically, their arrival meant that the population of poor people in San Francisco immediately jumped by about twenty. Any of us who give birth to children know, or should know, that for a significant amount of time we will have to make considerable sacrifices for them in time and treasure. Most of us do so gladly, and this is something that should be done by anyone who decides to bring another life into the world - but only to a point. We still have to pay attention to our own needs and desires, our careers, and certainly to our marriages. Unfortunately, the logistics of “having it all” have not been worked out very well, and sometimes all of our conflicting demands are overwhelming. When parents find themselves second guessing their choices, they are not alone. This is OK. This is normal. Unfortunately, a lot of parents are willing to sacrifice their entire lives to their children. While this might sound to some like a good thing to do for the sake of the child, it is anything but. What I have referred to as the Altruistic Paradox comes into play. It almost goes without saying that if you try to protect your child from every unpleasant eventuality, never let them make mistakes or fail in life, and never make them earn their keep, you end up crippling them. They have to learn to fend for themselves at some point, and if you never let them experience adversity, they become ill-prepared for life. They never learn how to delay gratification, get through tough times, take responsibility for themselves, and so forth. This point has been written about extensively in the popular press, only to be ignored by parents who believe their entire existence should be dedicated to making their child happy. But there is another far worse and more insidious effect of total parental self-sacrifice on children. I do not care how much of a saint you think you are, or how copacetic you fancy yourself, if you give up all of your own ambitions and pleasures for your children, you will eventually resent them. No one in our culture is immune to the lure of unfettered freedom, and the children will become the biggest impediment to it. You may lie to yourself about this, but you fool no one. You can be certain that your kids will sense it. They will begin to think that their very presence is ruining your life, and they will feel bad for you. And the vast majority of them will blame themselves for your unhappiness. By trying to prevent them from feeling any pain, you will end up making both yourself and them completely miserable. One way to appreciate the paradox of extreme altruism is by looking at a version of it that I call the Mother Teresa Paradox. As I alluded to above, she and her order believed that giving to others was the end all and be all of existence, and that they would take nothing for themselves. Anything you tried to give to her, she would immediately give to the order. (Of course, after her death we learned that she was plagued by self doubt about her piety, which may explain her extreme philosophy). She was, in a sense, preaching that giving to others was life’s greatest reward. The problem was, she was not allowing anyone else to give anything to her, thereby depriving everyone else of what she herself defined as life’s greatest reward. Paradoxically, she was being selfish as hell. Can you imagine what would happen if everyone lived by her philosophy? They would all be running around like headless chickens trying to give stuff away, but being continuously frustrated because nobody would accept anything they wanted to give! I guess it is really better to give and to receive. In keeping with current trends, I compiled a list of ten suggested new child mental disorder diagnoses for the Committees preparing the new diagnostic compendium in psychiatry, the DSM-V. I had orginally included temper tantrum disorder, but someone else actually on a DSM-V committee beat me to it. (I thought that the peak incidence of that disorder was during the "terrible two's," but apparently I was incorrect). 1. Chronic Incessant Questioning Disorder. This disorder is characterized by a verbal tic in which the sufferer keeps repeating the question, "Why?" 2. Seasonal Boredom Disorder. The peak incidence of this mental problem is during summer months. 3. Destination Impatience Disorder. A variant of ADHD only manifested on long car trips, this disorder is known informally as "Are We There Yet?" Disorder. 4. Adolescent Omniscience Disorder. This disorder is chartacterized by the automatic irrational cognition that parents do not know what they are talking about. 5. Legume Oppositional Defiant Disorder. A variant of ODD, this disorder is characterized by an adament refusal to eat vegetables. 6. Adolescent Teen Idol Copycat Disorder. A disorder characterized by an irresistable impulse to dress just like Lady Ga Ga.
7. Eye Rolling Disorder. This is an pathological, automatic response to parental lectures. 8. Compulsive Communication Disorder. This disorder is divided into four subtypes: predominantly cell-phone talking subtype, predominantly passing-messages-in-class subtype, predominantly computer-chatting subtype, and of course, predominantly text-messaging subtype. 9. Rambunctious Disorder. This disorder usually causes distress or impairment in total strangers, and is typically manifested on airplanes and in fancy restaurants. I am a huge fan of parenting columnist John Rosemond. He has recently published a book called The Diseasing of America's Children. My upcoming book could easily have been titled, The Diseasing of America's Adults. Rosemond has such amazingly uncommon common sense, and he is spot on when he describes the nature of the hugely problematic parenting trends that are going on in the United States these days. He's also a pro at telling parents - in public - how they are feeding into their children's problem behavior, and how to do the right thing, without making the parents feel guilty about what they have been doing. This is a talent I wish I had more of. Still, parents armed with pitchforks have apparently come after him. When I went to hear him speak in person a short while back, he mentioned that some newspapers refuse to carry his column - I assume because he gets accused of "parent bashing." He publicly thanked the Memphis paper for carrying it. Today's column was fabulous. He points out that the definition of a normal child has become narrower and narrower. "The mere fact that a person is lacking some characteristic or ability does not necessarily mean is something 'wrong.'" The strength of all traits like artistic ability, powers of concentration, sociability, optimism and so forth are distributed in the population along a bell shaped curve. Statistically, most people have enough of whatever trait you can name to get through life. The mere fact that someone is lower on the curve on one trait says nothing about where they are with other traits. People who as children may be at either the top or the bottom of nature's lottery may not stay there as they get older. I believe I've read that Albert Einstein was a poor student as a child. Rosemond predicts that at the rate we're going, it won't be long before all of the children in the US will have some sort of diagnosis by age 10, because after all, "they all have individual differences." Last year at the annual meeting of the American Psychiatric Association, I went to see a panel on the mis- and over-diagnosis of pediatric bipolar disorder. The idea that a brief period of agitation is somehow a manic episode has been advanced by several prominent “researchers” being paid by drug companies It is in direct contradiction to the official DSM criteria that mandate that bipolar mania last a minimum of seven straight days with no letup, and that hypomania last a minimum of four straight days. While these duration criteria are obviously somewhat arbitrary, they were put into the DSM precisely so reactive behavior would not be misdiagnosed as bipolar disorder. I met another psychiatrist in the audience who told me about the existence of a website, bpkids.org, which is the homepage of an organization called the Child and Adolescent Bipolar Foundation (CABF). He said the organization was primarily funded by the drug companies, and featured messageboards with advice from parents of allegedly bipolar children on what other parents should tell and not tell their doctors in order to get their child labeled with the disorder. The drug companies also used the website to recruit subjects for ongoing clinical trials of drugs for pediatric bipolar disorder, thereby assuring that the subjects in their clinical trials were only those whose parents were anxious to have their child so labeled. Why would any parent want their child to be labeled with a brain disorder? I go into detail about the answer to this question in my upcoming book, but suffice it to say here that many parents these days suffer from an all-consuming fear that, because they have careers and other responsibilities, they are somehow short-changing their children. The guilt caused by this fear is enormous and leads to difficulties in their practicing two of three main “L’s” of child rearing: Limit setting, and Let-‘em-go. (The third L is love, which is usually not a problem for most parents attracted to parent support groups. Severely abusive or neglectful parents, while also secretly consumed with guilt, will generally avoid them. They are deathly afraid that their mistreatment of their children will be discovered by the authorities). Having the child labelled as sick instead of poorly disciplined helps some parents feel less guilty about their own behavior. I checked out the Bpkids website and it was pretty much just as the psychiatrist who told me about it described. It did indeed contain a listing of clinical trials. According to a post on the Furious Seasons Website on June 10, 2008, one of CABF's major funders was Janssen, which makes Risperdal, an atypical antipsychotic that was approved the previous year for use in kids 10 and above with bipolar disorder. The post also said that Joseph Biederman, the Harvard Guru of Drugging Children, sat at the head of CABF's Advisory Council. However, I went back to the website just recently and found that it had changed considerably. It now stated prominently that it did not accept any drug company funding at all. Furthermore, the list of clinical trials had disappeared. There was even a blog with some posts friendly to family therapy. My guess is that as the parent support group became more and more suspicious of the side effects as well as the efficacy of the drugs being given to their children, the pharmaceutical companies pulled out completely. The New Scientist article went on to say that another patient support group, the Depression and Bipolar Support Alliance, received more than half of its 2005 funding from industry. I checked out that organization’s website, and voila, there it was! The list of clinical trials. You can find them at http://www.dbsalliance.org/site/PageServer?pagename=research_trials_bipolarlist. According to a variety of sources including Senator Grassley of Iowa and the New York Times (“Drug Makers Are Advocacy Group’s Biggest Donors” By Gardiner Harris, published: October 21, 2009), involvement by the pharmaceutical companies with patient support groups is rampant - as long as the companies are hawking a drug that might treat the disorder in question. For disorders that are best treated without drugs, their involvement is nil. That the Bpkids website unwittingly allowed demagogues like Biederman and the pharmaceutical companies to prey on desperate but well-meaning parents of out-of-control kids is best appreciated by looking at some of the current postings on the website’s blog. The posts are heartbreaking. The posters all seem to accept the bipolar diagnosis of their child without much question, even as they speak of the beneficial effects of learning how to better interact with their child. When patients are truly manic, they remain that way no matter what anyone else does. 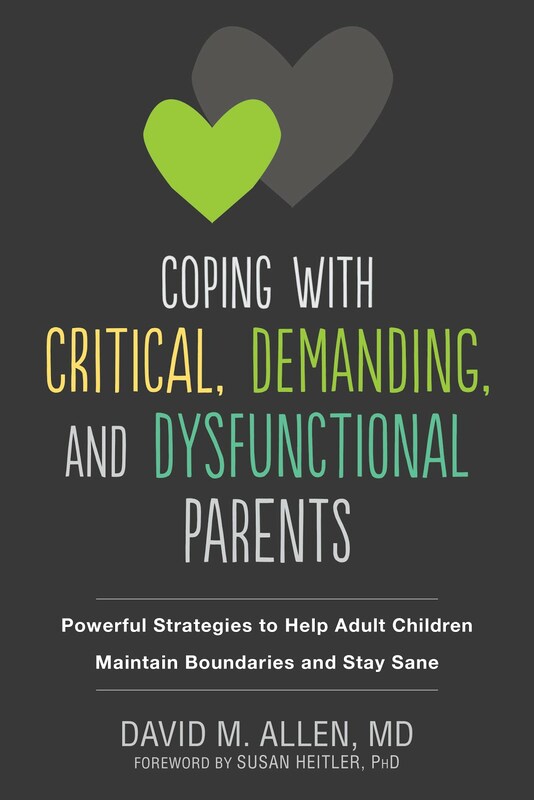 While I obviously cannot make a diagnosis of any particular child based on a brief blog description, in aggregate the behavior that many of the parents describe in their children strongly suggests acting-out, manipulation, and something called spoiling behavior. Spoiling behavior is one of the hallmarks of patients with borderline personality disorder, although it is not one of the DSM criteria. (I will not further define it in this post, as it would take too long. I discuss it and the reasons for it at length in my last book for therapists, Psychotherapy with Borderline Patients: An Integrated Approach). Furthermore, the descriptions of some of the parents’ own behavior as posted on the Bpkids blog hint at problematic parental over-involvement. For example, one mother relayed that, when her teen was put in a residential treatment program, the daughter accused the parents of abandoning her. This accusation caused the mother to “burst into sobs.” She also mentioned that her daughter was able to behave perfectly normally when the police arrived after she called them on her. Another mother stated that her child had been given multiple diagnoses from different psychiatrists including oppositional defiant disorder, Asperger’s syndrome, ADHD, generalized mood disorder, and some mysterious illness called sensory integration dysfunction before being diagnosed as bipolar. (This plethora of different diagnoses is a sure sign that a careful psychiatric evaluation has never been done). The child would get angry when told to do his homework or when reminded that it was his week to do the dishes. Sorry, but children who throw tantrums when they do not get their way ain’t manic.